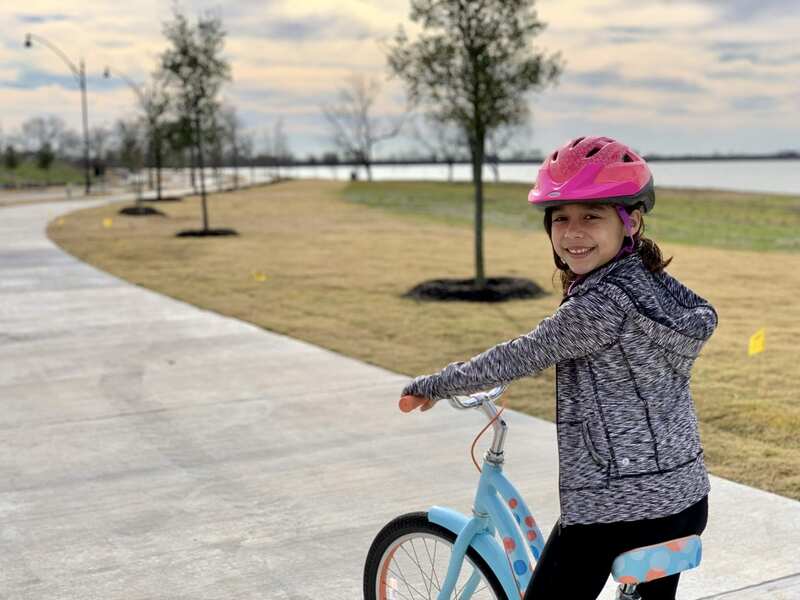 Bayside’s lakeshore trail is now open to the public, providing all Rowlett residents and their families with a new place to walk, run, bike and enjoy outdoors by the lake. 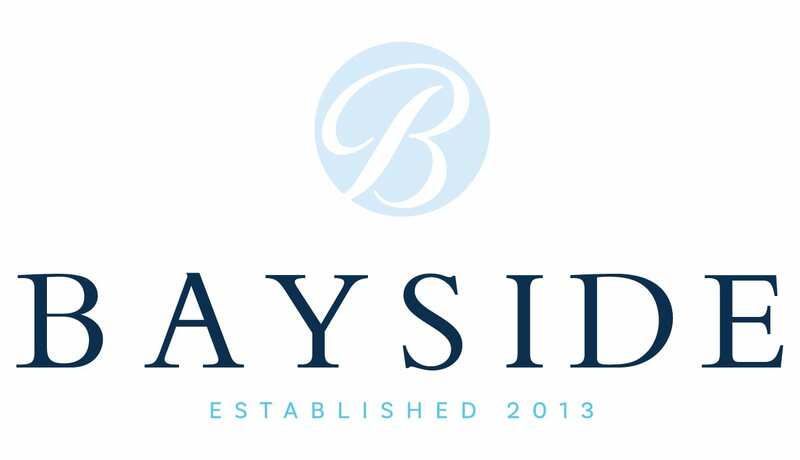 Construction has kicked off at Bayside North’s new lakeside park. 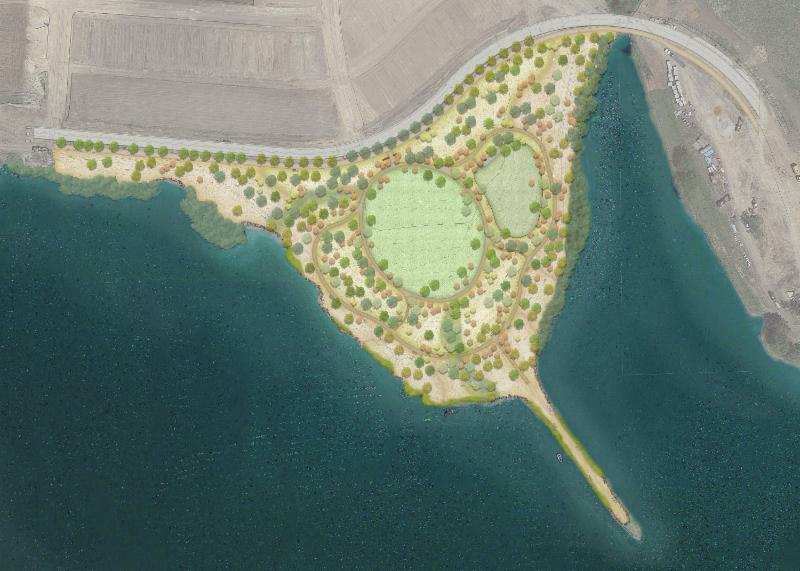 When complete in March 2019, the 8-acre peninsula park and its half-acre dog park will be open to the public (and their pooches). 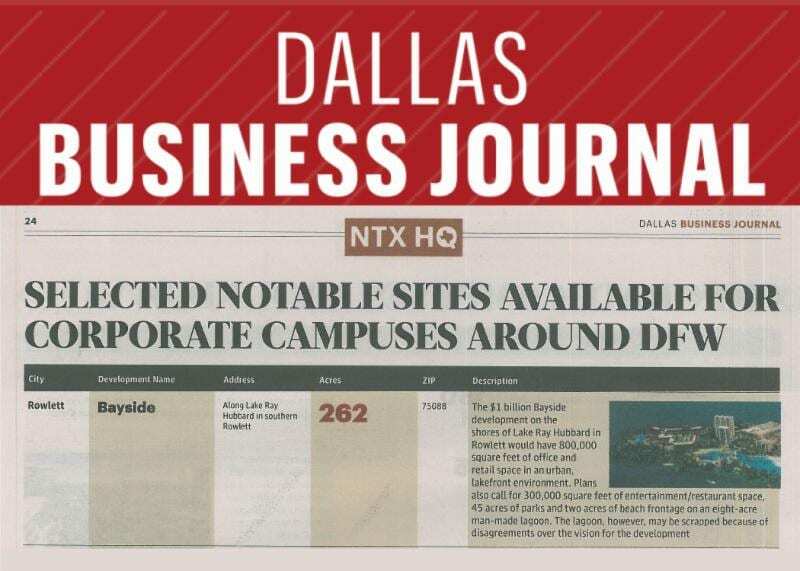 The Dallas Business Journal has named Bayside one of the most notable sites in North Texas for a corporate campus. We think a corporate headquarters on the shores of Lake Ray Hubbard woven in to the other features in the Bayside project would be spectacular — and a benefit to the taxpayers of Rowlett. 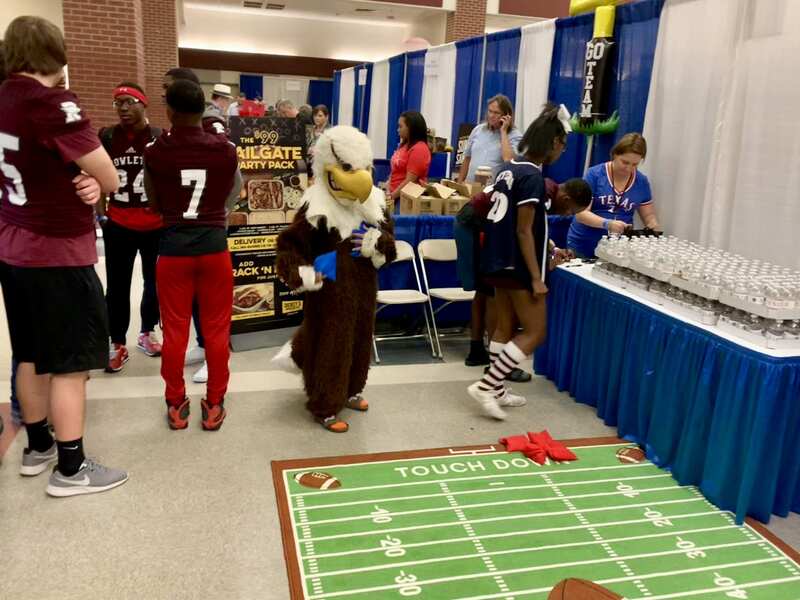 Bayside is proud to have been a Title Sponsor for the Rowlett Chamber of Commerce’s 13th annual Taste & Trade tailgate party, hosted October 30th at Rowlett High School. We had a great time meeting supporters of Rowlett’s business community and giving away prizes — including court-side seats to an upcoming Dallas Mavericks game!